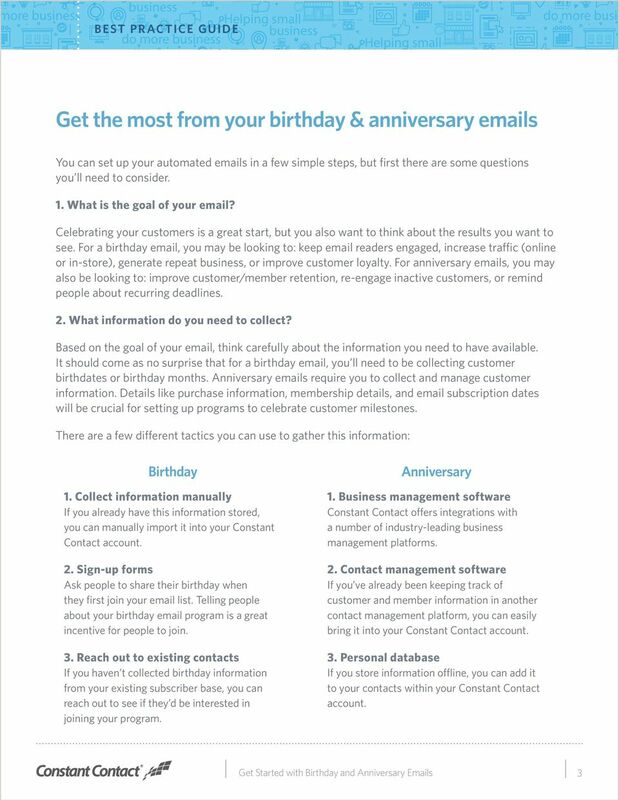 Download "Get Started with Birthday and Anniversary Emails"
7 Helping small business do more business Visit ConstantContact.com or call to learn more Connect with Constant Contact. Everywhere. Birthday Emails. 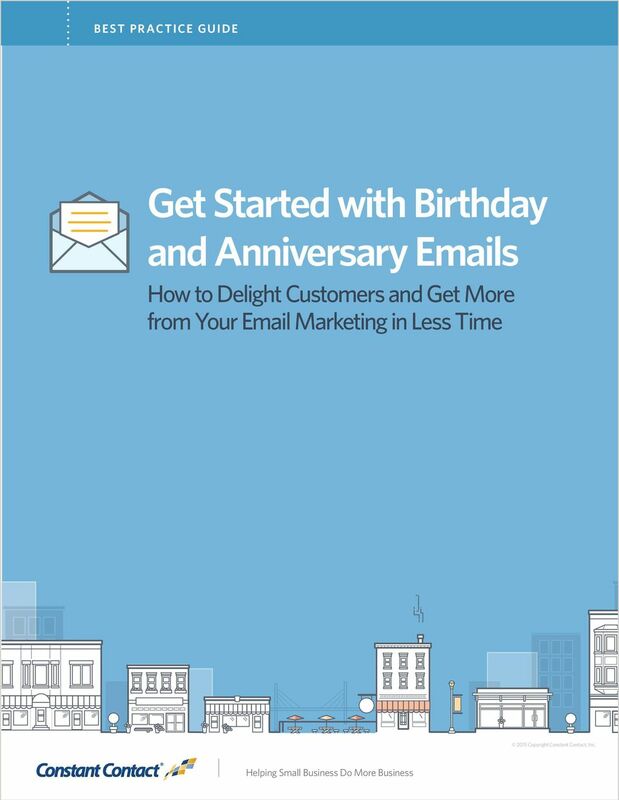 Examples and tips for birthday email marketing http://www.emailmonday.com/birthday-email-whitepaper. The Special Limited Edition. 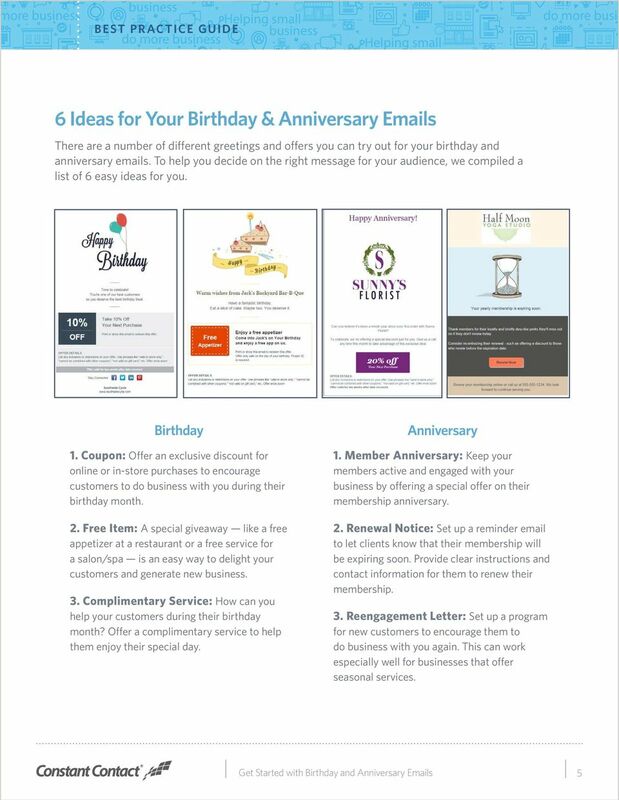 OLS Marketing Campaign Template Language Examples OLS Marketing Campaigns Theme & Language Examples The following marketing campaign themes and the language that accompanies them are suggestions only. 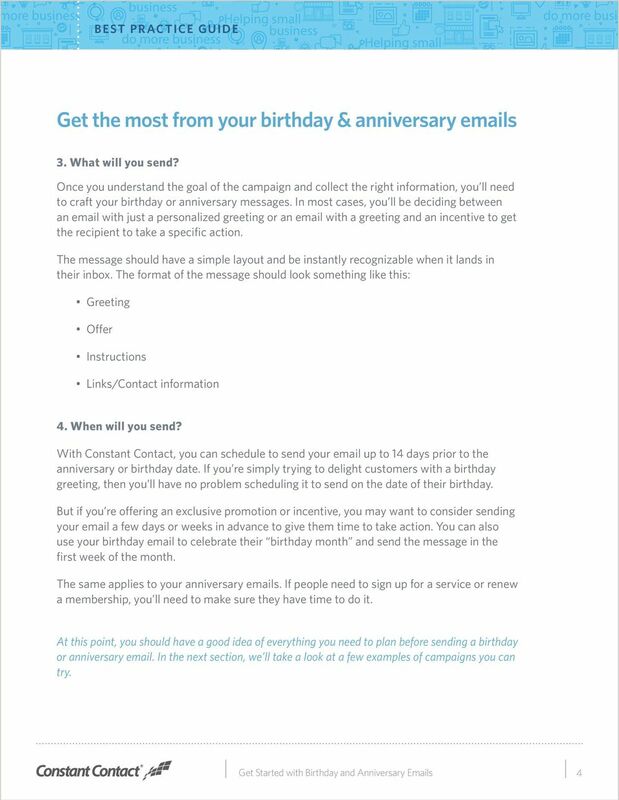 The 3 Keys of Email Marketing Connect. Inform. Grow Presented by: Pamela Adams Regional Development Director Constant Contact - Georgia www.constantcontact.com/georgia Copyright 2008 Constant Contact Inc.
EMARSYS SMS BOLT DATA-DRIVEN SMS ONTO YOUR MULTICHANNEL STRATEGY. WITH ZERO INTEGRATION TIME. Jumplead Quickstart Guide A simple guide to building a solid process for online lead generation. We re going to outline a process for generating leads. Let s go. 1. We know our customers are online. 2. THE BEST FREE OR LOW-COST WAYS OF MARKETING YOUR BUSINESS. 2015 Web.com Group, Inc. All rights reserved. 27 Killer Facebook Post Ideas for Small Business Owners PUBLISHED BY: Boom! Social 3750 Gunn Highway, Suite 201 Tampa, Florida 33618 Copyright 2015 Boom! Social Media Marketing LLC All rights reserved. 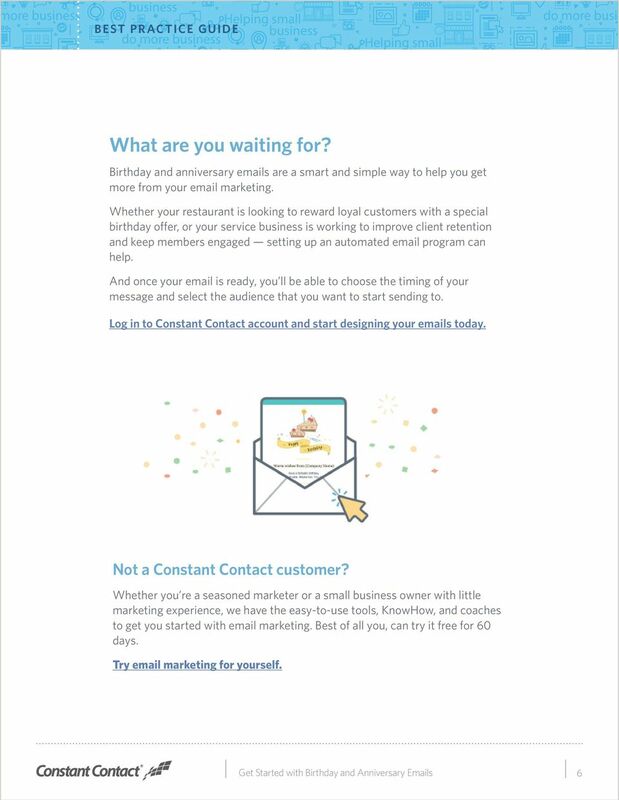 How-To Guide: Email Marketing (Part II) Getting Started - Why Email? 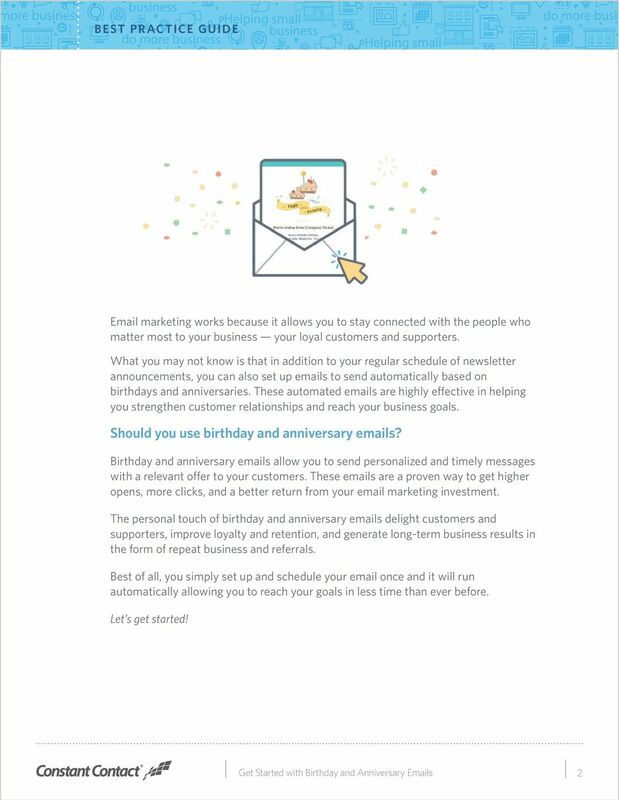 Is Email Marketing Right For You? Consider These Facts: More than one in five people worldwide use email. That's about 1.9 billion people. 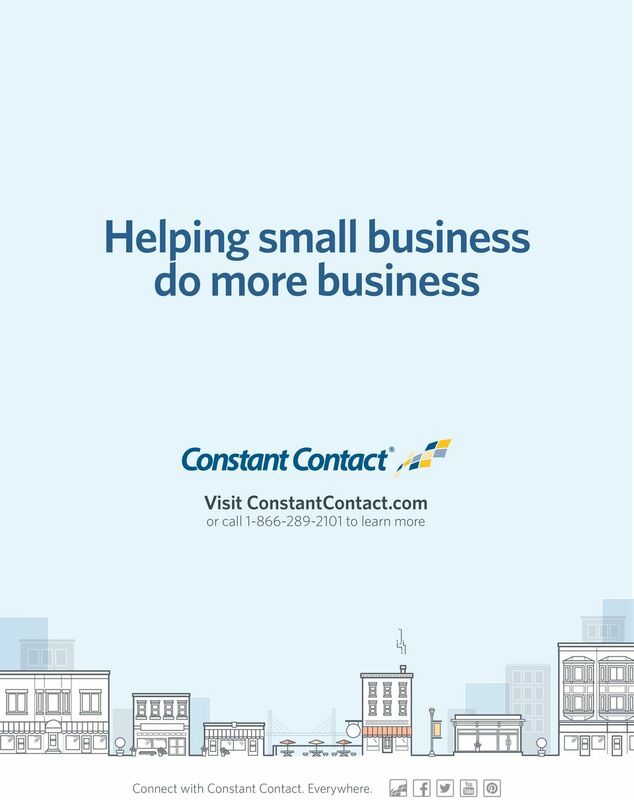 Increase Referrals And Boost Repeat Business! What you may not do with this report: You Do NOT have the right to edit, copy, reprint, or resell this report.